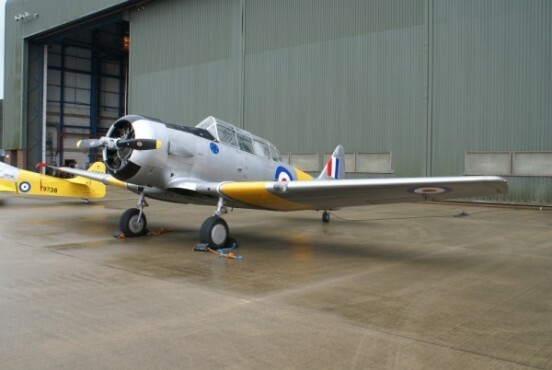 The pilot of the aircraft was a trainee Fleet Air Arm pilot who was carrying out flying training with the RAF. This was fairly common in the 1950s, No.22 FTS even had an FAA detachment at RNAS Anthorn in Cumbria. Msm Farley had taken off from RAF Syerston near Newark on Trent at 09:56 on a day cross country navigation exercise. The RAF Court of Inquiry recorded that Msm Farley had been authorised to carry out Navigation Exercise No.10 and that the weather at the time was suitable for this. The route of this was Syerston – Cirencester / Kemble – Bottesford – Syerston. This route would have taken him southwest from the airfield with the return a little further to the east to pass over Bottesford near Grantham. In response to radio communication from the pilot two true bearings from Syerston were passed to the pilot at 10:30 and 11:05. After the aircraft had failed to return to Syerston by 12:45 the station took overdue action and a search for the aircraft was initiated. The missing aircraft was found the following Saturday by a group of walkers, until that point it had been obscured by snow cover. The reason for the aircraft being at least 45 miles off course was never really determined, though it has been noted that Brian Farley was from Stockport and the crash site lies close to the route from Syerston to Stockport. 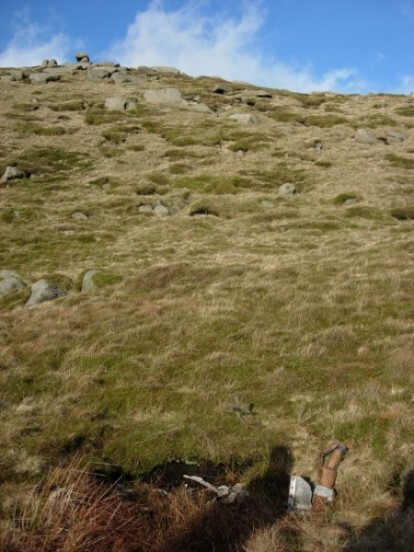 It was thought he was possibly following the Sheffield to Stockport railway line but struck the side of Kinder near the head of Edale. 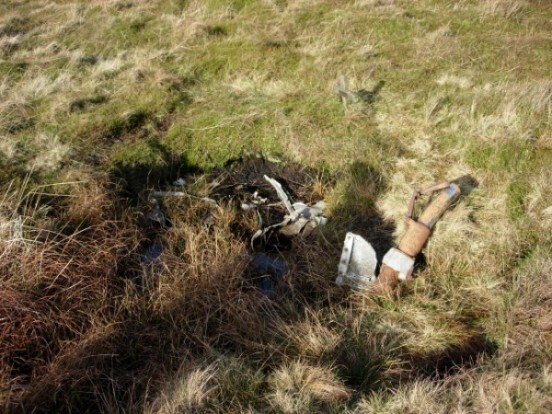 The remains of the aircraft, lie in a small peaty pool on the slopes of Kinder Scout below a rocky outcrop known as the Wool Packs. 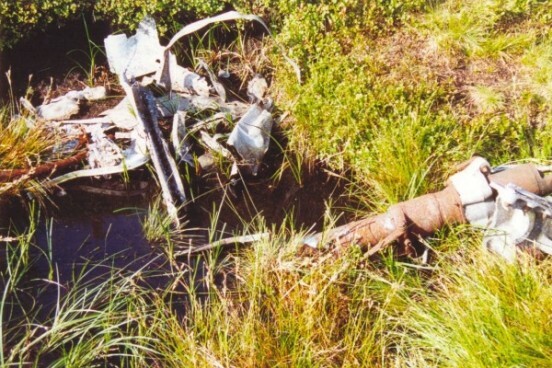 This view shows the remaining wreckage and the spot (higher up in the rocks) where the aircraft actually crashed. 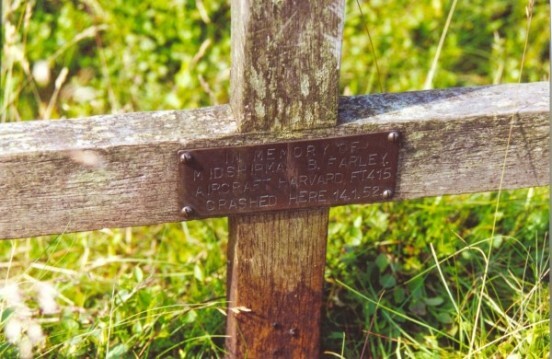 A small wooden cross with a brass plaque attached can be found at the site. 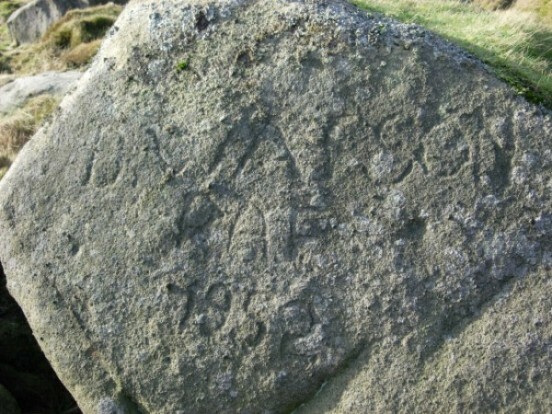 Near the site is a rock with D. Watson, RAF, 1952 chiselled into it. The collection of wreckage as it was in January 2007.